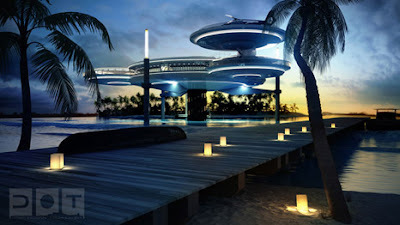 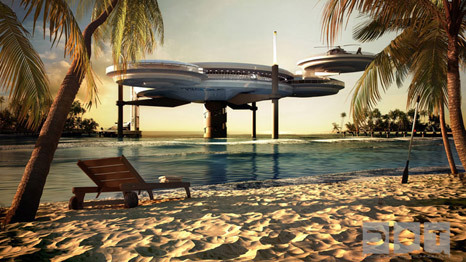 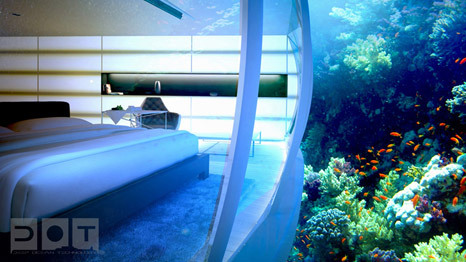 Discus Hotel concept in Dubai was an awesome underwater hotel plan. it was designed by Deep Ocean Technology, from the information that we got, this discus hotel will have an underwater rooms in the depth of 21 floors underwater. 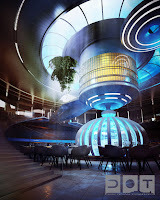 See the image on the left. People will enjoy a beautiful underwater scenery directly from their rooms. 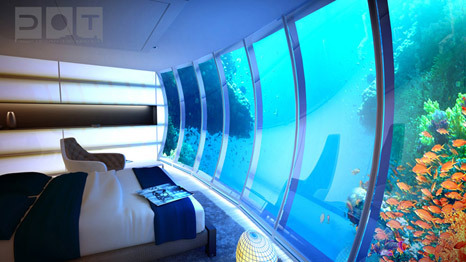 It's even cooler than this Aquadrone at Radisson blu Hotel. OK it's still a plan but we hope that they will realize it soon. 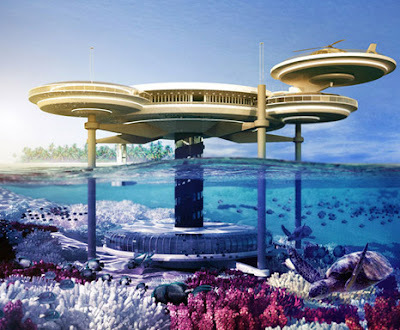 This hotel building itself consists of two parts, namely the surface above the water and another room that will be below the water surface. See more pics of this underwater Discus Hotel concept in Dubai.